Check out our Invited Experts Page! Prior to each workshop, Global Marine Species Assessment (GMSA) team members and/or contracted experts compile and enter relevant data on the taxonomy, distribution, population status, habitat, ecology, major threats, and conservation measures for each species into our online database, the IUCN Species Information System (SIS). Relevant experts on the species to be assessed are typically invited to participate in an interactive 5-day workshop. Experts who volunteer their time are then asked to assist with the initial data collection by providing relevant published or unpublished information. The MBU strives to include leading taxonomists, ecologists, fisheries biologists, and conservationists at each workshop, and often rely on our regional partners to help us ensure that the most appropriate experts are identified and included. The workshop is where the hard work is done. Each species account in the database is individually reviewed and supplemented by the experts. This includes the review of prepared digital distribution maps created using the Geographic Information System (GIS). This process is facilitated by the MBU team and trained Programme Officers from the IUCN Global Species Programme. During the workshop, expert participants often contribute unpublished data and knowledge that is otherwise impossible to obtain. The IUCN Red List Criteria are then objectively applied to the data to evaluate relative extinction risk. A resulting Red List Category is then assigned for each species and recorded in the database. Much information is captured during the workshop; however, the Red List assessment process does not end there. In the months following a workshop, accounts must be edited, finalized, and reviewed. This process involves the retrieval of important references and additional information that may have been obtained after the workshop, ensuring established IUCN documentation standards are met, and the completion of recommended distribution map alterations. 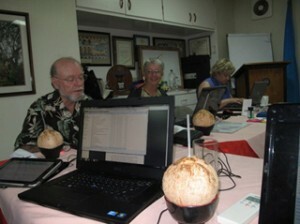 Revised species accounts and maps are once again reviewed by the expert participants. There is usually a one-month window during which time experts can make additional changes or corrections to the information, or contest a designated Red List Category. Each extinction risk assessment must be evaluated independently by both a content reviewer (an expert on the species) and a technical reviewer (an expert on the application of the IUCN Categories and Criteria. A Red List Authority on the species group or a member of the MBU team is assigned the job of technical reviewer, while the content reviewer is typically a scientific expert that did not participate in the workshop itself. Once this process is complete, assessments are submitted for final review by the IUCN Red List Unit. Upon acceptance, they are published on the IUCN Red List of Threatened Species, an open-access database. Workshop participants should be aware that this process takes time; on average, it takes at least one year from the date of a workshop to the date of publication on the Red List. This stringent process helps ensure that all published extinction risk assessments are of the highest quality.